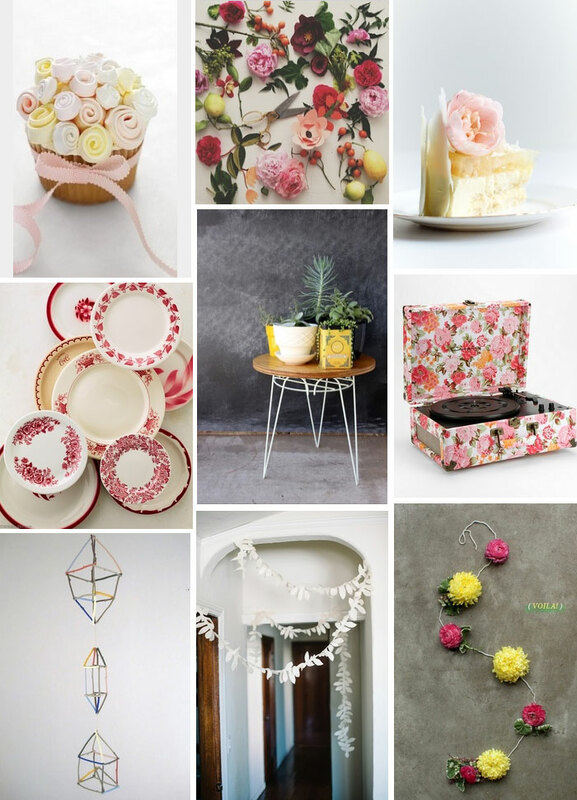 Every once in a while I long for a a pretty piece of cake, a surprise garland or a flowery turntable don't you? Here's a few I've come across this week. This month I'm pinning things like this for Martha Stewart Living. Click here to see more if you like. That turn table is fabulous!!! I love it. The himmeli is a knock off of a piece called Twigeli by artist Kim Baise. I noticed hers on The Joinery NYC's website and they're beautiful. The JIKITS version looks like a computer generated image. Do you using fresh flower or just imitate? I love to knew that and which one is better to use? Good picks! The garlands and the plant stand are my faves. I love the floral trend and your finds are so unique. Love the suitcase!